With more than half of Scottish letting agents listing their properties on Lettingweb, we are the largest agent only portal in Scotland. Why? Because it works for our Members, because we are by agents for agents and because we strive to make letting better. "Murray & Currie have a strong relationship with Lettingweb. The relationship is built on trust. Lettingweb always provide qualified connections thus benefiting landlords, tenants and us the agent." "We have been Lettingweb customers for some years now. Not only are they a highly significant UK property portal, their customer service is outstanding and their high quality on-line property marketing has made them one of our key business partners." "Lettingweb continues to give our portfolio excellent exposure in the Scottish market place at a cost effective level for our business. We receive an excellent service from the team at Lettingweb and would highly recommend their letting portal to all UK letting agents." "Lettingweb’s online portal is by far the simplest to navigate. Even through technological upgrades for the site’s presentation and functionality, Lettingweb never sacrifice logic and clarity, which makes their website a front runner amongst the many other portals in the market." Our wide distribution ensures that we provide the most tenant enquiries to letting agents in Scotland. With more than 1 million tenant enquiries delivered in 2016 through the Lettingweb Distribution Network, we’re confident that you will receive the best quality enquiries right here. Lettingweb ensures that your properties are listed when tenants are looking for them. We distribute to many networks including Zoopla, Primelocation, Adzuna, Mitula and Trovit, as well as optionally feeding them to S1 Homes and Rightmove. Whether you upload manually or via an automated feed, you know that you only need to upload the property to one portal and it’s seen by high quality tenants regardless of which portal they ultimately search on. Lettingweb has more data than anyone about the rental market in Scotland and in-house research expertise. This powerful combination means that our Members are more informed than their competitors about market conditions, rent trends and likely yields. Lettingweb Members receive landlord leads directly from the Lettingweb site and, at no extra cost, from Zoopla. More than 700 unique landlord leads were distributed to our 400 members in 2016. Our research indicates that average income to the letting agent for these leads is £1000 a year. Our website is busy! 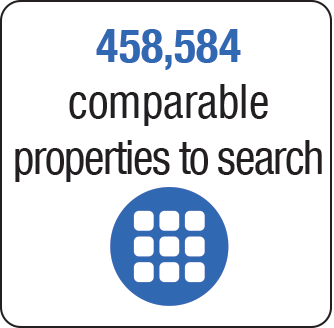 On our site alone, we serve up around 12 million pages, advertise more than 60,000 properties and respond to 3 million property searches each year. So you can be confident that your properties will be seen by tenants looking for them. The longevity of our brand, our database of current and past tenants and our continued investment in online and offline marketing puts us in a strong position to deliver you the quantity and quality of enquiries you require. Lettingweb was one of the first rental portals in Scotland and built for agents by agents. With 17 years industry experience and more than 458,584 property records in our database, we have the professional knowledge and depth of data to ensure that you have access to the best information to grow your letting agency. We know the importance of comparable data for a letting agent in winning an instruction from a landlord and our comparable data tool in the Agent Dashboard ensure that you have the pertinent information at your fingertips. Letscotland is the representative body built for letting agents, by letting agents to represent the interests of letting agents in the Parliament and in the Press. It was formed by Lettingweb Member letting agents, for letting agents, in response to what they saw as a lack of leadership and inadequate representation of their industry in the Press and the Parliament. No-one should be homeless. Sadly, today, it’s a harsh reality for many. Last year in Scotland almost 40,000 people were declared homeless. Many of whom are sleeping rough. Lettingweb are working to change that. It’s our mission to increase the quantity and quality of private rental accommodation. To reshape Scotland’s housing policies for the benefit of all. And, ultimately, to end homelessness. For good.